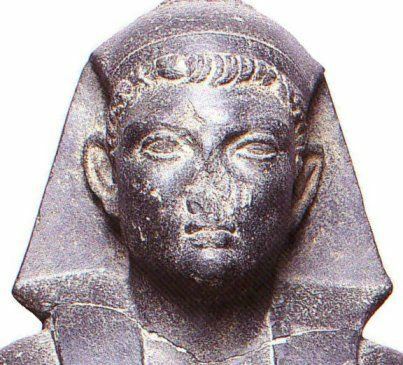 Ptolemy XV, better known by the nicknames Caesarion (Little Caesar), was the last Pharaoh of Egypt. He was the final member of the Ptolemaic dynasty of Egypt, who reigned jointly with his mother Cleopatra VII of Egypt, from September 2, 44 BC. He held the position of sole ruler between the death of Cleopatra, on August 12, 30 BC, up to August 23, 30 BC, the time his death was ordered by Octavian, who would become the Roman emperor Augustus. He was the eldest son of Cleopatra VII, and possibly the only biological son of Julius Caesar, after whom he was named.